The 100 years anniversary of Dada was a point of celebration in European art history. Dada which was born on 1916, means a moment of avant garde where art not only broke with representation and aesthetics of canonical beauty but inaugurated with its performances, poetry and manifestos a way of thinking contemporary art, as we nowadays know it. Artists aligned no more through style but through a shared ideal of their role as artists and their vision of the impact of their art in society. 1916 Europe was nevertheless more so than ever in the middle of colonial processes and formations of power with several distant colonies around the globe. The art produced in several of these colonies was a source of inspiration in the European avant garde although removed of context, of authorship, or from a sense of equal recognition. At the same time, the revisiting of dada's history meant also a revisiting of patriarchy in the arts and the differential recognition avant garde artists received according to gender where transgender and femme positions where either erased or presented as complimentary. Dada had been thought as principally a male group. With gender relations in mind, this costume photo by Sophie Taeuber-Arp is understood as the rescuing of female subjecthood in European art history. The Argentinian philosopher Maria Lugones proposes that thinking about gender without thinking about race and colonialism can nevertheless result in a type of problematic "feminism". Sometimes even a feminism that rescues female figures that were important in colonization processes, in order to celebrate their courage, female colonizers, female monarchs, female rulers that reactivated the sequels of colonialism in their realm of action. At the same time, the question about ethnographic collections in European museums being returned to the ex-colonized spaces they came from gains more momentum. The first time I learned that the costumes made by Sophie Taueber-Arp were inspired by spiritual figures of the Hopi people I realized there was an erasure in the photo. 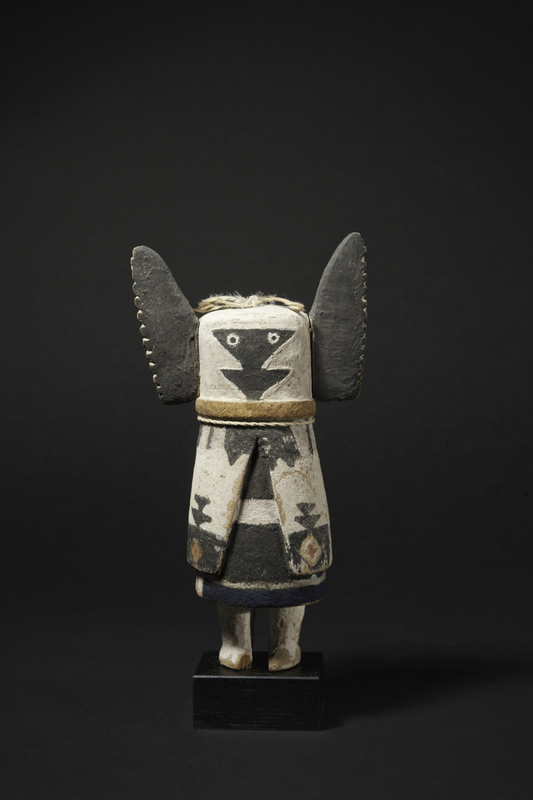 The work presented an experimental artist producing unusual costumes in geometric shapes and referred they were inspired by the kachinas of the Hopi. "Swiss artist Sophie Taeuber-Arp was primarily inspired by the Hopi kachina dolls of Arizona (…). In creating the costume seen in figure 8, she first created a detailed sketch on paper. The result was a vividly colored outfit with abstract and geometric designs, representative of this versatile artist's work, which, influenced as it was by that of other cultures, was exemplary of the Dada aspiration of non-elitist art that is without borders. " It is not unusual to see this sketch by the artist (as in this case appeared in a Frieze article) without mentioning the original reference. In the frame of understanding artistic and spiritual activism as a way to heal society; it was important for me to learn which Kachinas exactly were portrayed in the costumes. Despite the abundant reviews and research on the work of Sophie Taueber-Arp, this information was very difficult to find. The anniversary exhibition in Germany which made a point to show both Dadaist works and their source of inspiration, also did not specify it. I searched sites managed by Hopi people that referenced Hopi artists and finally found some information. 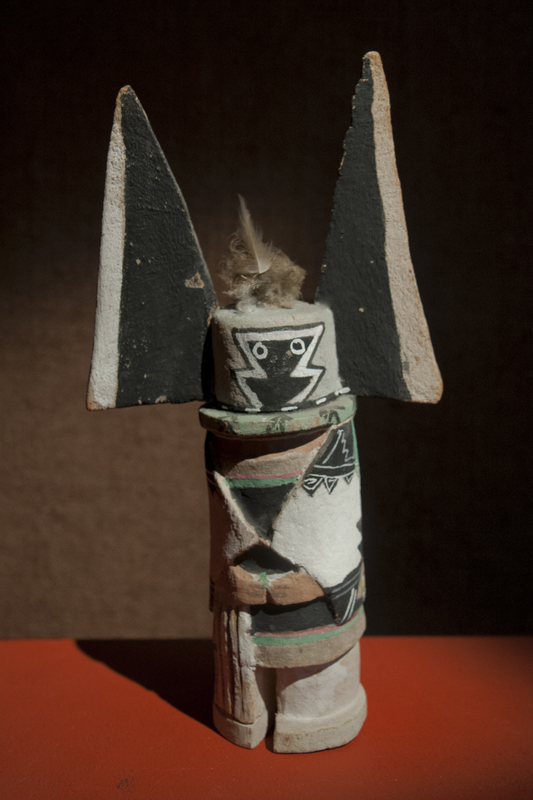 They stated that the inspiration had come from concrete Katsinam tuhu (described also as Kachina dolls). I learned that the katsinam represent messengers to the spirits of ancestors and natural forces. That they are personifications of things in the real world: they are the spirits of minerals, game, domestic animals, plants, trees, wind, the dead. That they are messengers who are asked to exert their beneficial powers to help people live in harmony. That the amount of Katsinam are estimated between 250 to over 400. That they are meant to be given as a present by an male relative to Hopi girls and women when they marry. That the katsinam are connected with the cosmovision of the Hopi, as one and equal with other beings in the planet. That the Hopi planted corn for themselves as much as they planted for other beings. That the dances are inextricably connected to the tuhu. 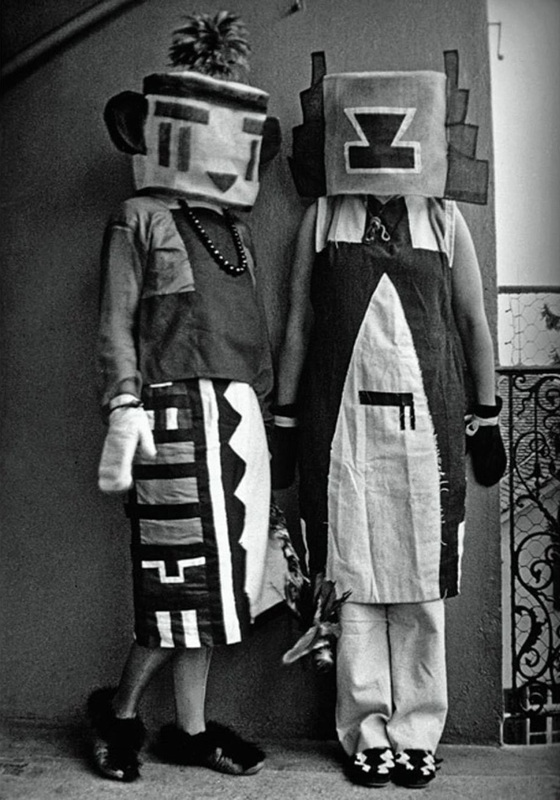 "Sophie Taeuber-Arp and her sister Erika Taeuber, Hopi Kachina costumes, 1921-1922"
I don't question that Sophie Taueber-Aro built costumes based on the spirit gods of the Hopi. Aesthetics across cultures has and should have the power to cross cultures and inspire others. What I wish to bring up is that contemporary artists must ask themselves about the power relations at play in their works. 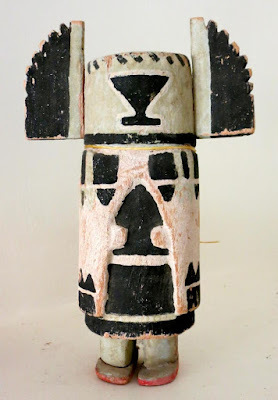 On this line, one must note that the aesthetic language produced by the Hopi is considered in a sort pre-stage of contemporary art on the basis of having been produced for rituals. As Gloria Anzaldúa reminds us, certain kinds of art do not make this division between different spheres of life. The history of avant garde as breaking with literal representation and adopting geometric forms has to be redone. A true history of contemporary art will decenter art from Europe and should recognize that those who were considered savages, in the time this history was in the making, were actually at the front, also when it comes to the issue of individual and collective authorship, and of transpecies, post anthropocentric authorship. This is the task that we are endowed with. 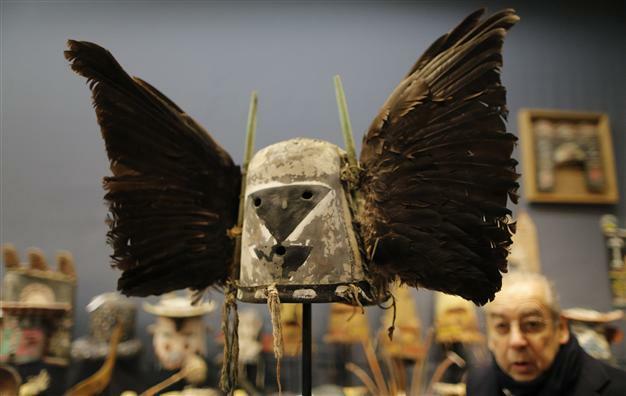 In the mean time the Hopi masks used in ritual dances continue to appear in European collections and on sale in auction houses in Europe against the will of the Hopi people, who like the rest of the peoples all over the Americas and in other excolonized spaces, see themselves disrobed of their cultural heritage.